To maintain the acid-alkaline equilibrium of the body, aside from the proper nutrition, exercise can sustain and restore the ph balance of tissues, blood and cellular fluids. However, it is important to know which type of exercise is good for restoring the body’s ph balance: either aerobic or anaerobic work out. This article attempts to explain and distinguish the difference of these two types of exercise so that our readers will be guided as to what sort of physical activity is beneficial and tailored to their health. Aerobic exercise is a fitness activity which main target is the working muscle as the aerobic respiration (carbon dioxide and water) converts oxygen into energy needed by organs and muscles, in particular. Respiration is very important in creation of cellular energy and helps the mitochondria, the energy factories, to produce more force. Our red blood cells eliminate the carbon dioxide exhaled by the lungs and pick up the oxygen – the much needed molecules, to transport back to the cells. As an individual increases the intensity of aerobic program, the amount of energy also increases. How anaerobic exercises differ from aerobic exercise? Anaerobic exercise is high intensity workout in a short duration of time, whereas, aerobic exercise can be observed in continuous manner and rhythmic in nature. Unlike aerobic exercise, this fitness activity does not utilize oxygen just to create energy. Since the high intensity anaerobic work out cannot meet the demand of energy needed by the body, it converts to lactic acid (can damage cell membranes) and changes the pH of the muscle tissue creating acidic environment and greatly affects the body’s pH level. Thus, most bodybuilders and weightlifters are experiencing muscle fatigue. 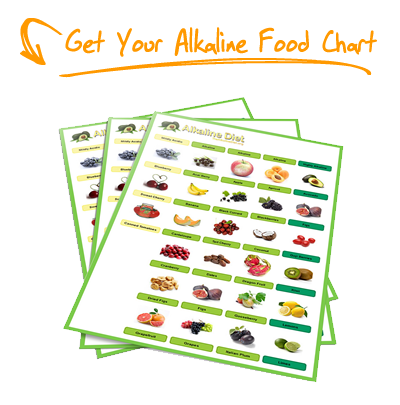 In order to compensate and restore the proper alkaline balance, eating highly alkaline foods is recommended. Aerobic exercise oxygenates the tissues and it is understatement to articulate that our body needs to have enough oxygen; otherwise, we will suffer from various diseases. This is where hemoglobin, important substance in the blood, plays the key role in transporting oxygen to our body. Through aerobic exercise, blood becomes alkaline and can carry more oxygen to the cells. 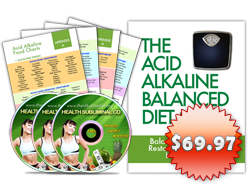 The energy cannot flow properly if the body’s acid-base balance is irregular due to lack of oxygen. Therefore, the oxygen and alkalinity of the body is linked to getting enough energy and must be protected from free radicals. Either our body gets enough oxygen though the air we breathe, in the foods that we digested and goes into the bloodstream, or proper exercise. 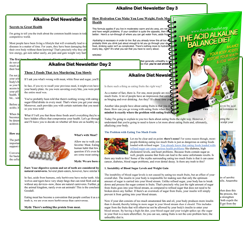 There are three ways to eliminate acid in the body in order to maintain the state of balance. It can be dumped through the bloodstream. There are also called buffers that can neutralize acids and produced these into salts that can be eliminated through kidneys in the form of urine; through skin in the form of perspiration; and through lungs by breathing out the acidic carbon dioxide. The lymph as one of the two body circulatory systems needs to move around and circulate with the help of aerobic exercise. The importance of lymph in providing nutrients like oxygen and carrying off wastes cannot be utilized without the proper physical exercise and there is a danger of getting the tissues affected when intoxicated in its own acidic waste product. Walking – the most simplest and attainable aerobic exercise that matches all fitness level and can be done indoors or outdoors. In a 2005 issue of the Archives of Internal Medicine, medical studies confirmed that walking in moderate to high intensity builds aerobic fitness and demonstrates significant improvement in cardio respiratory system. The recommended frequency is at least 3-4 times a week for 30 minutes. Cycling – either by using a regular or stationary bike, cycling is an ideal aerobic exercise for people who have some orthopedic problems. There are important things to consider when cycling. First, know the target heart by subtracting the age from 220 then multiply by 65% to get the lower end, and 80% to get the upper end. Second thing is to commit to a target time frame. Ideally, it is good to sustain cycling to build aerobic base for 6-8 weeks. Then lastly, challenge yourself to add the length of time for work out while maintaining the target heart rate. Ellipticals, Stair Climbers and Steppers – with the use of the machines, aerobic exercise can be pursued indoor even by beginners. This physical activity is strenuous and yet enjoyable. It must be done at a moderate pace and make sure that individual who opt to do this exercise will pass the ‘talk test”- an individual can still converse clearly while doing the training. Swimming – it becomes an aerobic exercise if a person is doing a high-volume workout while maintaining good amount of breathing. This type of aerobic work out is not recommended for those who have heart problems. Moreover, the buoyancy of water can ease joint stress so this form of exercise is good for those who are experiencing joint pain because this type of water aerobics can allow person to exercise every muscle and joint in the body all at the same time. Dance Aerobic – an exercise accompanied with rhythmic steps and graceful movements, commonly done by most group who like to maintain perfect figure. This is the most enjoyable type of aerobic exercise for people of all age level, both men and women. If a person is having chest pain or shortness of breath; do not engage in this type of exercise. This is highly proposed to highly fit person. SAFETY PRECUATIONS: For person with health issues, it is recommended to seek for health professional’s advice before starting the chosen aerobic exercise program. Do not choose any physical activity that is too strenuous for you but only a specific type of work out that is more comfortable and enjoyable for you to sustain for an extended period of time. To wrap it up, according to PhD Michael Colgan, the harder we exercise, the faster we may become acidic and the muscle ph can drop below the ph level. Aerobic exercise, as good way to work out muscles, can reduce the accumulation of acid. Since anaerobic exercise produces toxic ammonia to cells, it only inhibits the energy cycle and contributes to fatigue and poor performance. Therefore, knowing what physical activity you would like to engage into makes it more rewarding as it gives your body what it needs to sustain: the long lasting health away from negative health issues. So no more weights due to lactic acid production? !